The final three events in the 2015 UK Traveller Trophy series have been completed and the 2015 Champions decided. 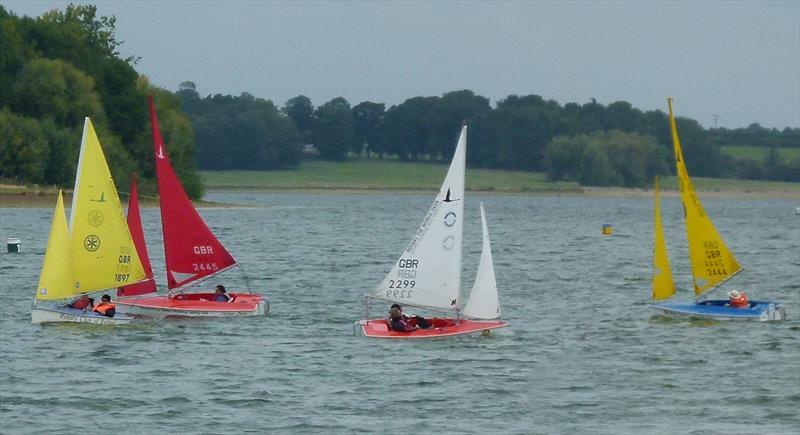 On September 16th, Rutland Sailability hosted the sailors for another leg in the Traveller Trophy series, which was also the final leg of the Northern TT series. With a poor weather forecast, the numbers seemed down on previous events in the series. However, the sun broke through and the shore crew made short work of getting all boats on the water and ready. At the briefing the Race Officer suggested that there be three races back to back and then a break for lunch. This was a good plan as the weather held off for the racing, and when everyone headed for the pontoon the consensus was to leave it as three races and once again the shore crew made short work of getting everything packed away. 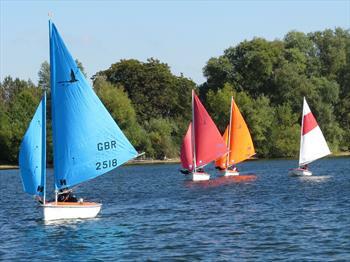 On September 30th, sailors moved to Frampton Sailability in Gloucestershire for the final event in the 2015 Western Series and the penultimate event in the 2015 National Series. A sunny day greeted the 12 competitors and, with this event being the last event of the 2015 Hansa Western TT Series, it gave the racing added importance to the results for many of the sailors. The individual race results were very changeable during the day making for some interesting final results. In the Liberty class David Durston had a resounding win in the first race with Melvin Kinnear taking the second. In the Hansa 303 one person Alison Grant came first with James Woosnam third and again in the second race these positions were swapped. In the Hansa 303 two person class Steve Emery and Mark Smyth took the honours in the first race with Glynis Dawe and Hugh Lansdown taking the second race. After lunch, with some stronger gusts coming through and the wind changing direction 45 degrees, the course was reset to a simple figure of eight for the last two back to back races, however the competition was still fierce. 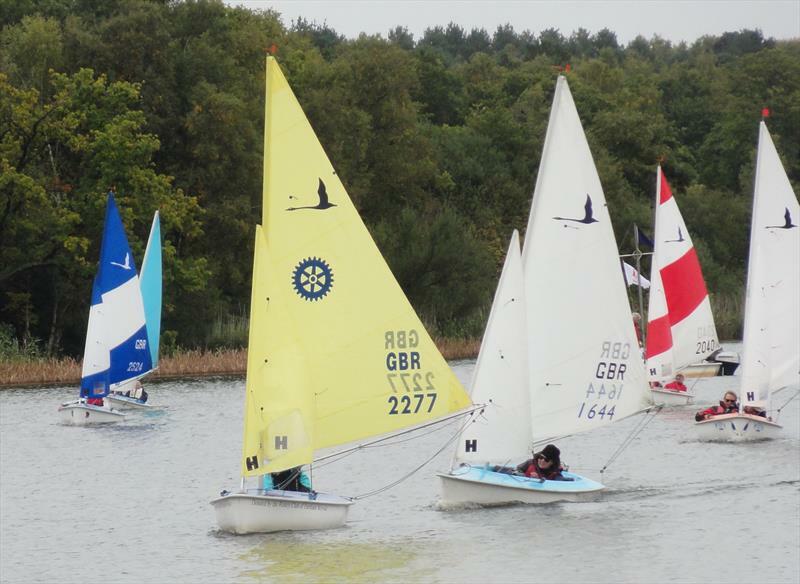 For the 11th and final event of the 2015 series, competitors returned on October 7th to Frensham Sailability in Surrey. This event concluded both the 2015 Southern Series and the 2015 Hansa Class National Series. The day followed a week of rain was overcast with occasional drizzle, but a light south westerly wind that increased through the day provided good close quarter racing. Taking part were teams from the home club plus Rutland, Whitefriars, Thames Tideway, New Forest and Chesil Portland. The racing was close with the home team dominating in all classes apart from the Liberty where Whitefriars David Durston took the honours winning two races and one second place. In the smallest 2.3 design the home team dominated despite the absence of Frensham’s own 2013 European champion Lindsay Burns. In the 303 Hansa single-handed it was a clean sweep for the home club with Tessa Watkiss scoring three straight first places and Kate Hedley from the home club second. With the 303 doubles the contest was more open. The winner was Frensham husband and wife team Peter and Peta Etherton. Second place was awarded to: Martin Hadley and Steve Kitson from New Forest SC with London Tideway’s duo; Glynis Dawes and Hugh Lansdowne in third and local duo Andy Sheath and Kate Lintott fourth. More information can be found on the UK Hansa Class Association website, including full results and news reports from all events. Congratulations to all competitors and those who contributed stories and photos across the series.